Friday the 15th I got in the car with one of my best friends and we drove up to Washington state. I’ve been hanging out with them in Kent since, with a few small trips around the area. We haven’t done a lot but we have had fun and its been wonderful to just spend time with Nikki, get to know her husband, and spoil her little dogs rotten. Buddy and Doofers are adorable! 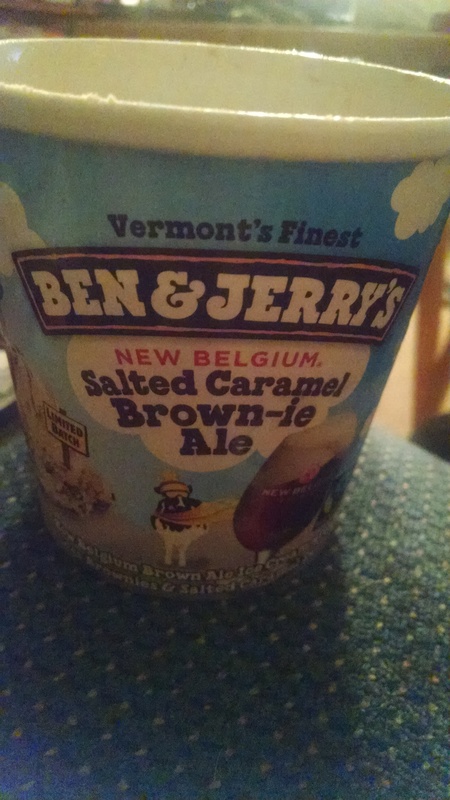 The first few days I drank what is a lot of beer for me, and I’ve consistently drank too much coffee. We went to a bar where I asked for a stout and the server offered me chardonnay. Fail on her part. We went and played speed bingo, which I won a few rounds, and we played the slots a bit (I won $59 after Nikki spotted me cash to play – I paid her back what she gave me). 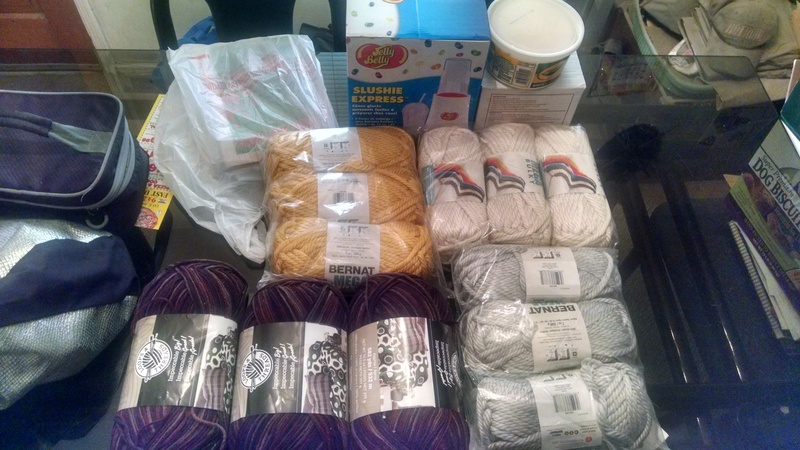 I did some online shopping while I was here, ordering new shelves for my craft room and new yarn that was sale for great prices. The shelves arrived at home today and I expect the yarn to be there early next week. We visited Snoqualmie Falls, which was beautiful, and we ate out a lot. Last night we went to a sushi place where I ate a lot of foods I couldn’t identify but tasted fantastic. Yesterday we drove into Seattle and visited the Pike Place Market which was cool. I chatted with a few vendors and got to get a few leads on getting help with my ukulele playing from a guy calling himself the Howling Hobbit. We had the best damn clam chowder I’ve ever had and we visited So Much Yarn, which was incredible. It’s a small shop but it’s beautifully arranged and the lady who runs it was fantastic. 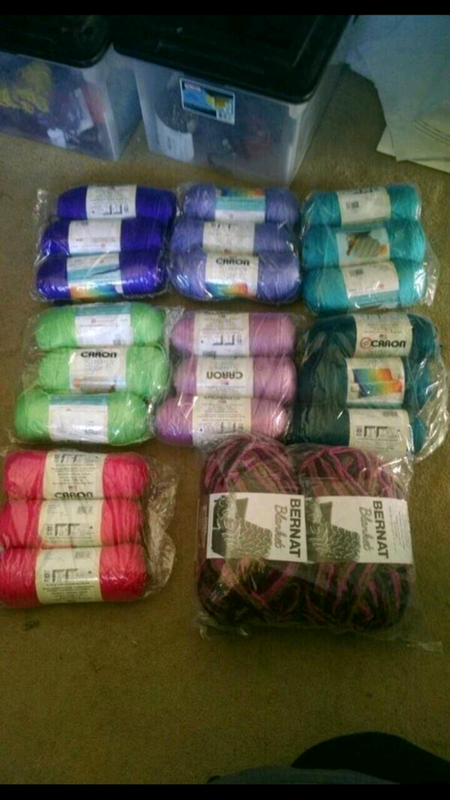 I only spent $50 there but I left with 7 skeins of beautiful yarn in two types, 3 of one and 4 of the other. 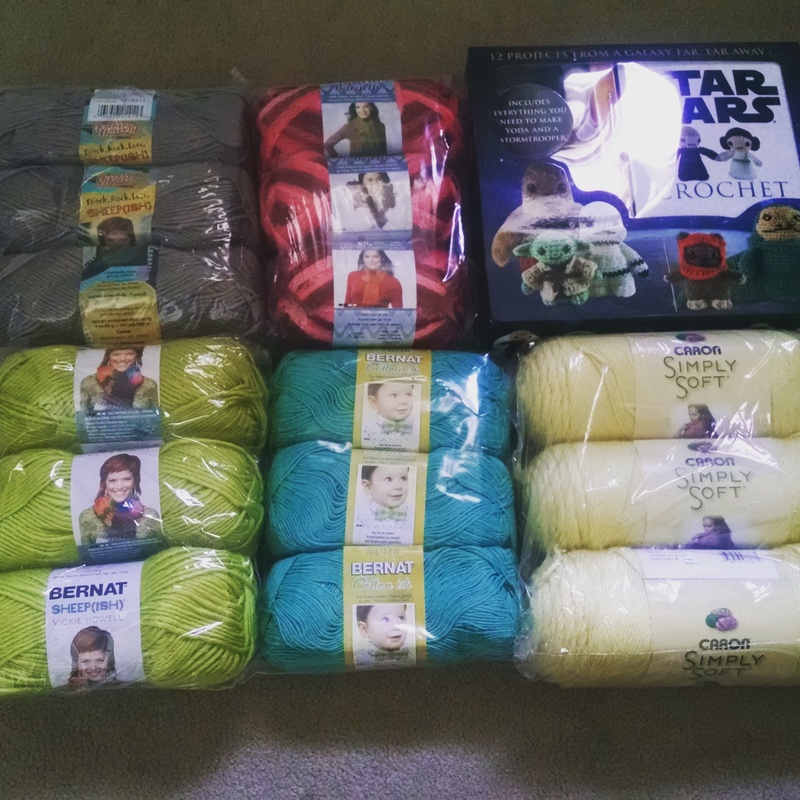 The one I got 4 of was on sale for half off so that helped. 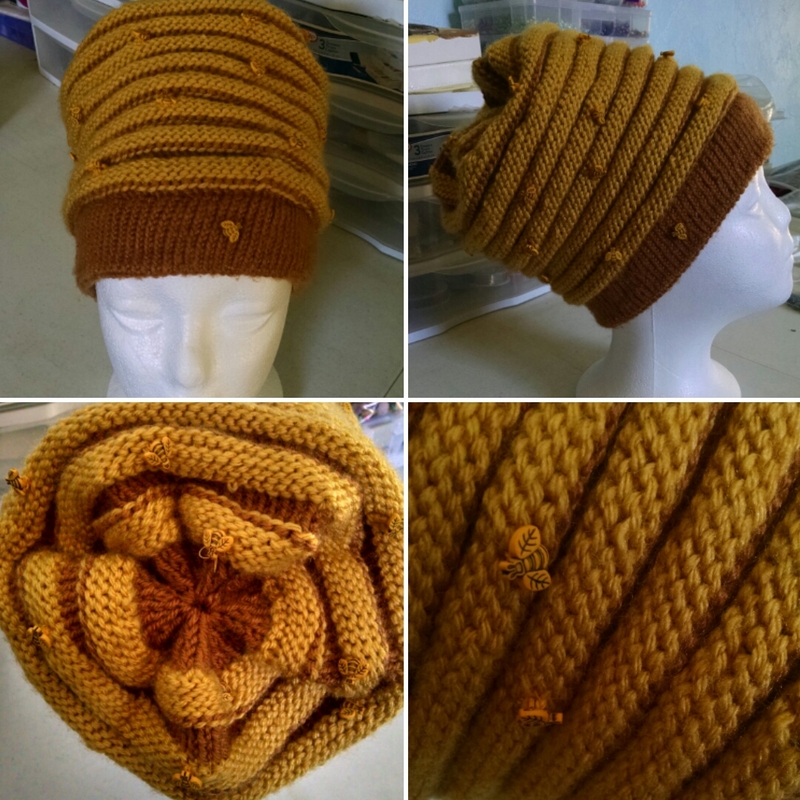 I nearly bought some $28 a skein silk and merino yarn that felt amazing. 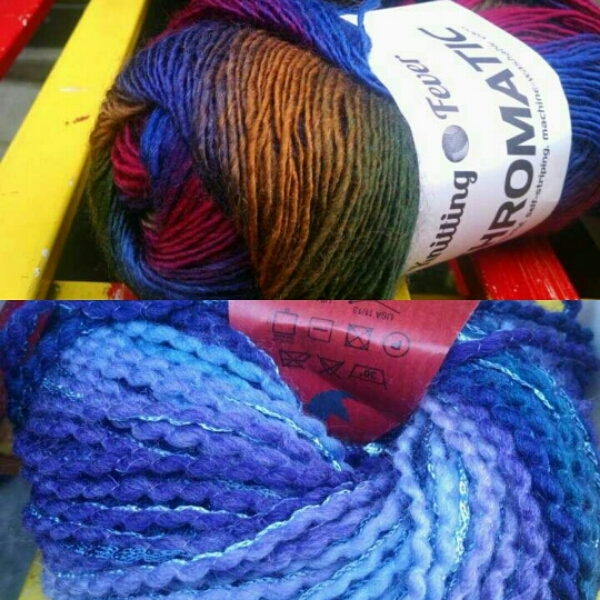 Tonight we visited one more local yarn shop that was highly recommended to me via the Ravelry forums and while I didn’t like this shop quite as much as So Much Yarn, I found the Maker’s Mercantile to be really nice and bought 4 balls of baby alpaca plus a book on crocheting monsters. 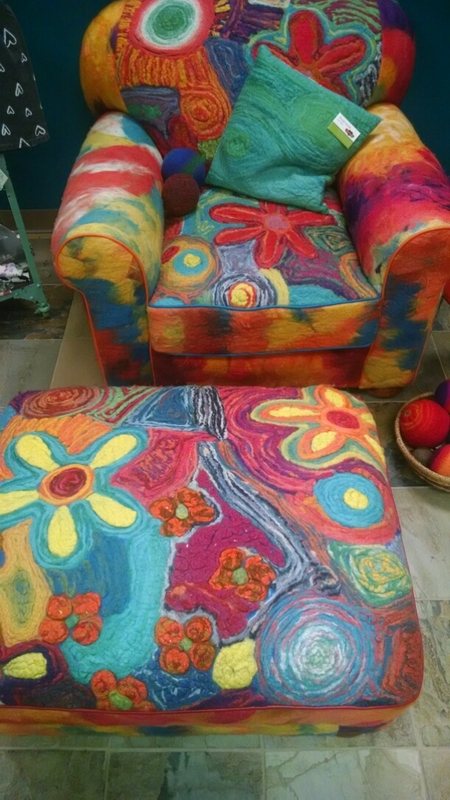 This beautiful needle felted chair and footstool were in the shop. Nikki and I also started watching Nurse Jackie and we are trying to finish the show before I fly home tomorrow morning. We have about one season left that we’re trying to get through tonight. 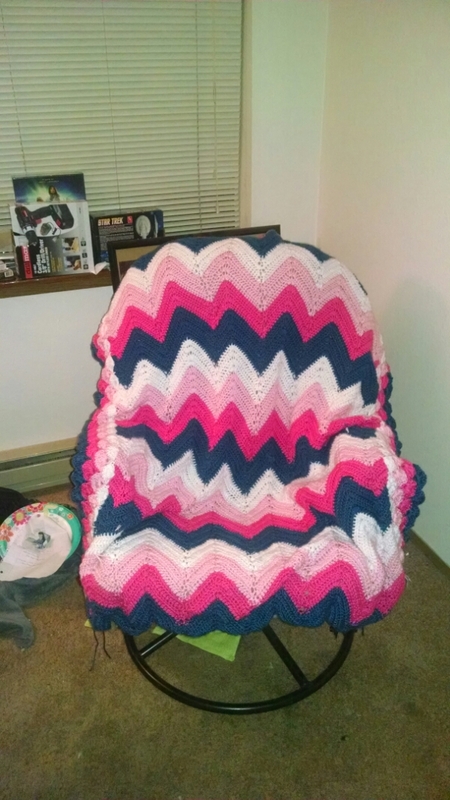 I crocheted an entire blanket while I was here too. It’s not a big blanket but it’s a nice sized throw for cuddling under while watching TV. I fly out of Seattle tomorrow morning at 720 and while I’m happy to be heading home soon, I’m still having major anxiety about the flight. I’ve never flown before and honestly planes terrify me. I also keep freaking out that they will lose my bags or something. This has been a great trip though and I’m super glad I did it.